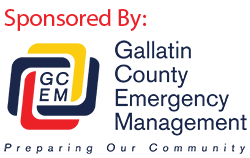 (Gallatin County, MT) This morning, the Gallatin County Sheriff’s Office arrested two people after a vehicle pursuit from Springhill to the north end of the County. Around 1 am, a Bozeman Police Officer located a vehicle associated with arrest warrants. A pursuit ensued, ending near Maudlow. The driver abandoned the vehicle and fled on foot. Nearby residents were alerted to be on the lookout for the driver. The passenger, Chelcie Watson, was charged with possession of dangerous drugs. At 7:00 this morning the driver, William Rogers, was found in a nearby basement and taken into custody without incident. Rogers was arrested for burglary and on warrants for drugs and an attempted homicide in Billings two days ago.